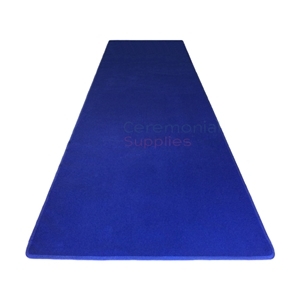 This deep blue ceremonial carpet is excellent for monumental events. Contains 100% continuous filament nylon. Elegant look with bold color. Available in the following size combinations: Widths between 3 and 6 feet and lengths between 10 and 50 feet. Need a bigger size? You may reach us at info@ceremonialsupplies.com or call 1-877-373-4273 and let us know your needs. 3-4 business days of processing time. 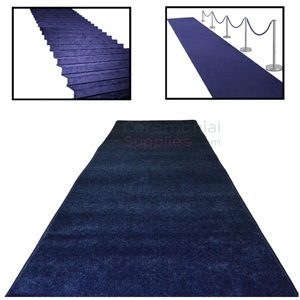 The ideal carpet for galas and other such events, this plush black carpet featuring a 100% filament nylon is available in widths of 3 to 4 feet, and lengths of 10 to 50 feet with more configurations in between upon request. If you require the carpet in individually tailored dimensions, email us at info@ceremonialsupplies.com or call at 1-877- 373-4273. Please allow 3-4 business days for processing. This bold, rich pink carpet is manufactured with 100% filament nylon that adds to its unique plush texture. This carpet is available in measurements of 3 to 4 feet, and lengths of 10 to 5- feet. Please allow 3-4 business days for processing. Featuring a 100% filament nylon construction that imparts it its unique plush texture, this luxurious ceremonial carpet is available in widths of 3 to 4 feet, and lengths of 10 to 50 feet with more configurations in between possible. If your event requires larger or more individually tailored dimensions, email us at info@ceremonialsupplies.com or call at 1-877- 373-4273. Please allow 3-4 business days for processing. Luxury Stanchion Queue Posts is made from stainless steel with a brass/golden finish. Posts features a round top with a four-way adapter disk to create any line configuration. It measures 39.5 inches in Height and 12.5 inches in base diameter. It weighs about 17.5 Lbs and is made with a sturdy base that keeps it firmly upright. There is an easy 2-part screw-in assembly that is required. These Stanchion Queue Posts are sold in sets of 2. 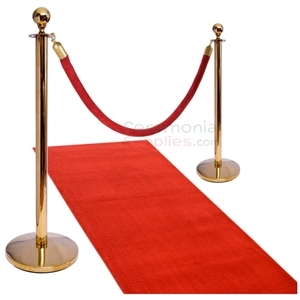 Luxury Flat Top Stanchion is made from stainless steel with a chrome finish. Flat Top features a four-way adapter disk to create any line configuration. Stanchion posts measures 39 inches in height and 12.5 inches in base diameter. It weighs 15 Lbs and is made with a sturdy base that keeps it firmly upright. There is an easy 2-part screw-in assembly required. 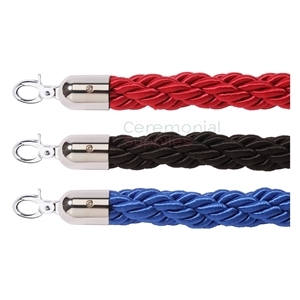 Stanchion posts are sold in sets of 2. 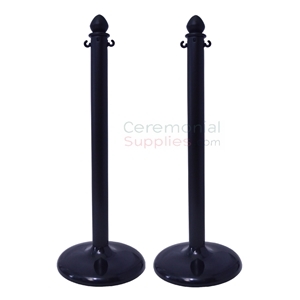 These Black Flat Top Stanchion are made from Sturdy Steel with a matte black finish. Flat top features a four-way adapter disk (no ball or urn) to create any line configuration. It measures 39 inches in Height, 12.5 inches in Base Diameter and weighs 15 Lbs. Stanchion is built with a sturdy base to keep it firmly upright. Easy 2-part screw-in assembly. Event carpet runners are just the item you need to take your event from mediocre to memorable! “Rolling out the red carpet” and “the red carpet treatment” are indicative of the extra sense of glamour and allure provided. Here at CeremonialSupplies.com, we believe that your next event deserves just that! We can help your event be taken to the next level with colorful carpet and aisle runners. Anything from a black tie gala to a small business opening can receive an elegant and professional boost with the addition of an event carpet runner. 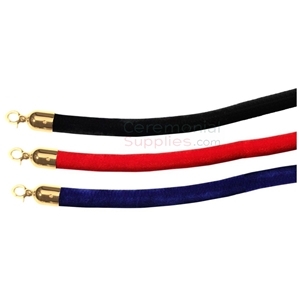 We at CeremonialSupplies.com are just as excited as you for your next big event and can work with you to find the right color and dimensions you need. Event carpet runners are a great way to add a pop of color and a sense of stateliness to your next occasion. While we have the traditional, classic red carpet, we also provide other colors so you can add a personal touch to your event. Our event carpet runners come in red, blue, green, pink, purple, and black. They range in lengths of 10 – 50 Feet and widths between 4 and 6 feet. You can represent your company, organization or school pride with your own colors and cover large venues with our event carpet runners! And if quality is a factor, you have nothing to worry about. We only sell the highest quality rugs made fibers that absorb colors beautifully and maintain their plush appearance event during heavy foot traffic. The soft backing makes our event carpet runners perfect for portability as they will roll quite easily into the smallest possible bundle and they even mold easily to staircases if you desire to install them on steps. These event carpet runners can also help to express your business goals to attendees. For example, many financial institutions use the color blue to evoke a feeling of trust and security among their visitors. Black carpet is often used to express luxury and aggressive purchasing. Use green carpet for a colorful, springtime gathering, black carpet for a luxurious, formal gala, pink carpet for a Breast Cancer Awareness fundraising event- the possibilities are endless! 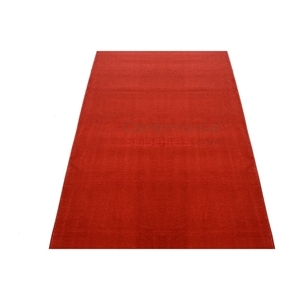 At CeremonialSupplies.com, we offer more guidance to help contextualize and color your event with carpet runners. Aside from providing a colorful pop to your event, ceremonial carpet runners are a fantastic way to help manage the flow of a crowd. 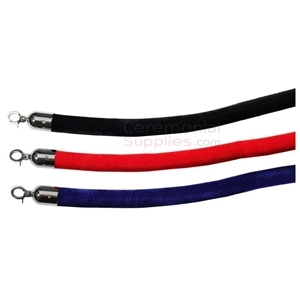 Aisle runners and long carpet provide guidance to attendees and guests at your event. It provides an attractive pathway to move throughout the space and lead them in the direction of your event. Our Crowd Management section is of full event and aisle runners for your next occasion as well as several other materials needed to host a successful event. 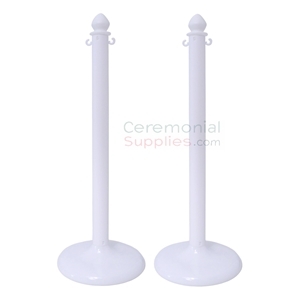 CeremonialSupplies.com provides all the resources and assistance you require to ensure your event is held to the highest standard of quality. Much like event carpet runners, class and quality is a look that never goes out of style.